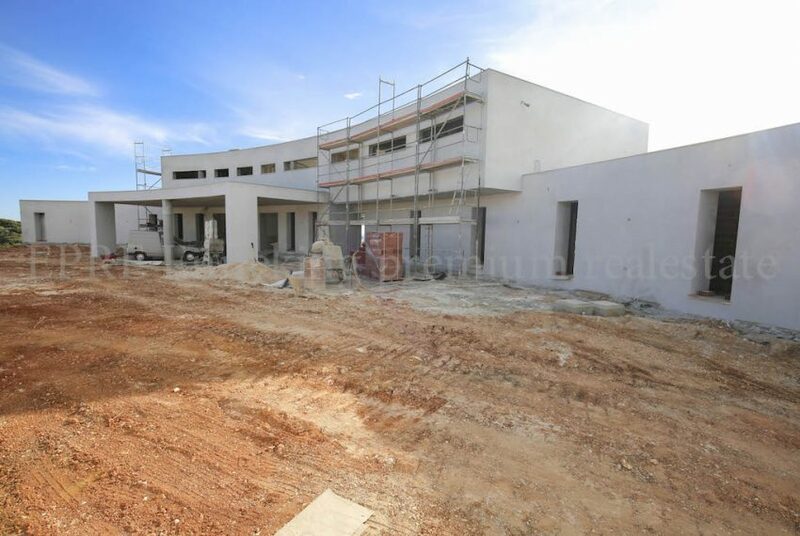 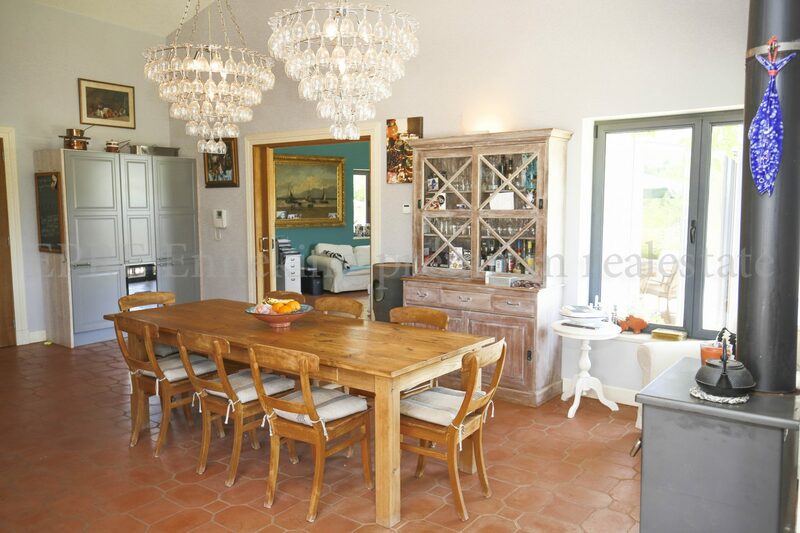 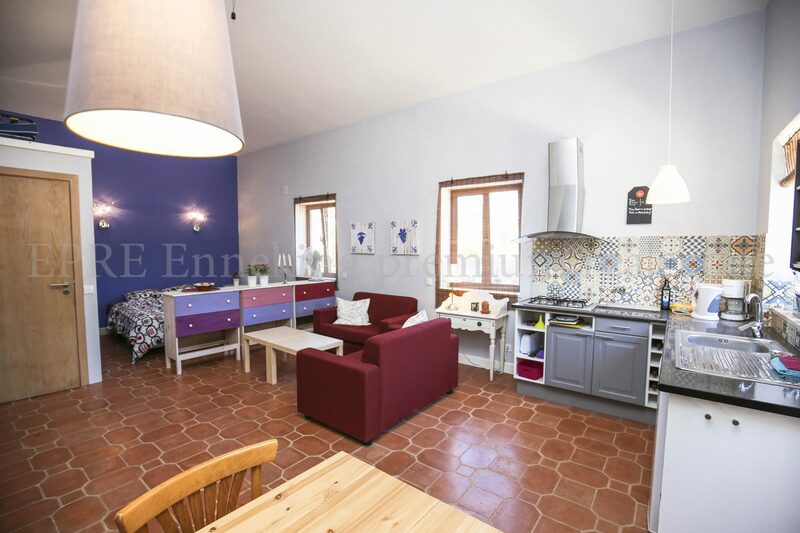 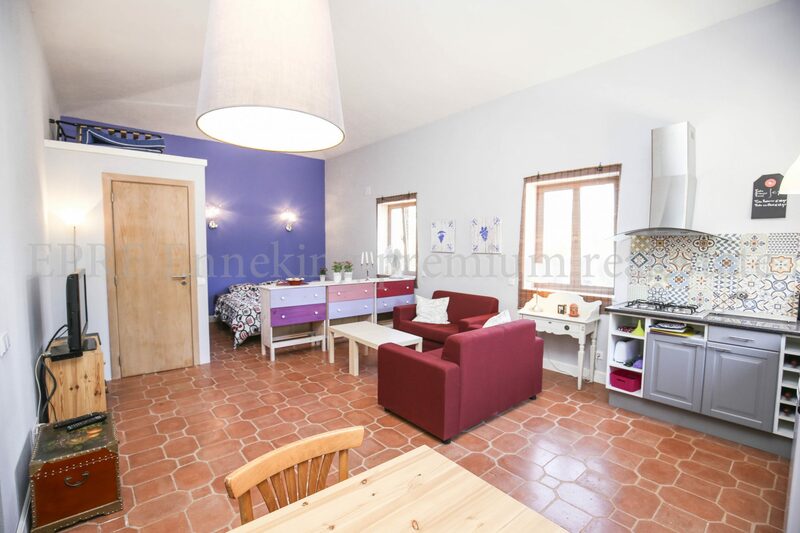 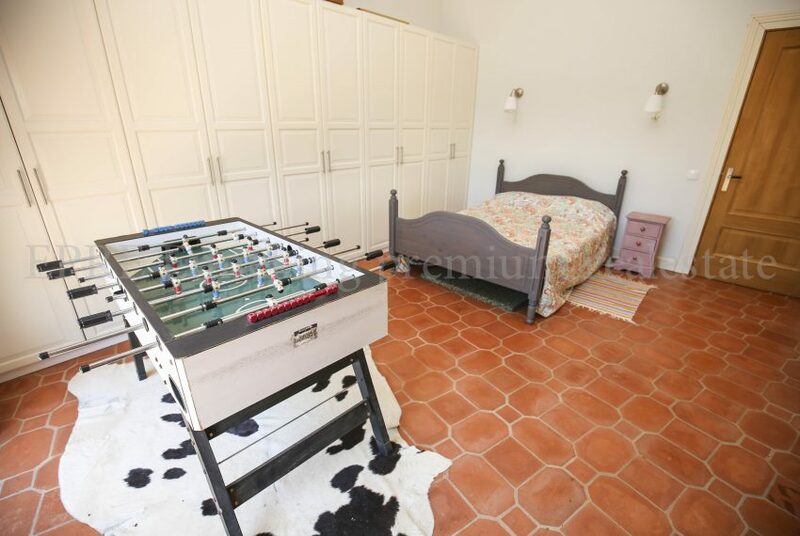 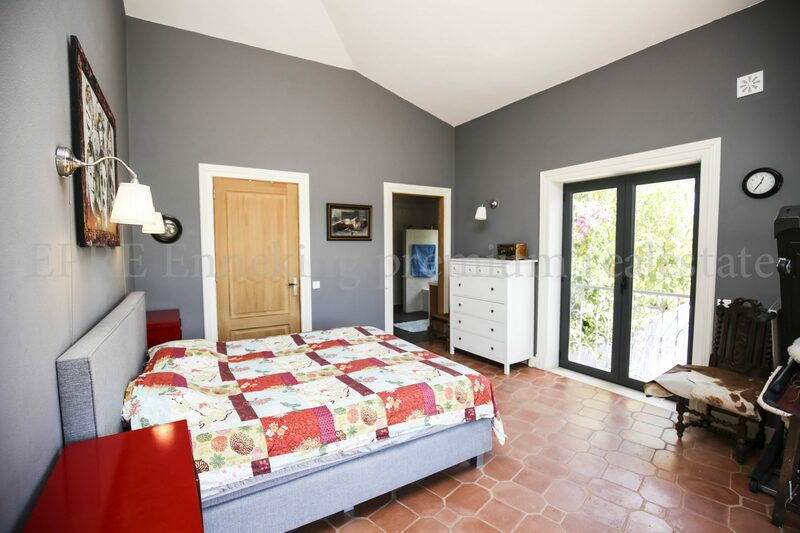 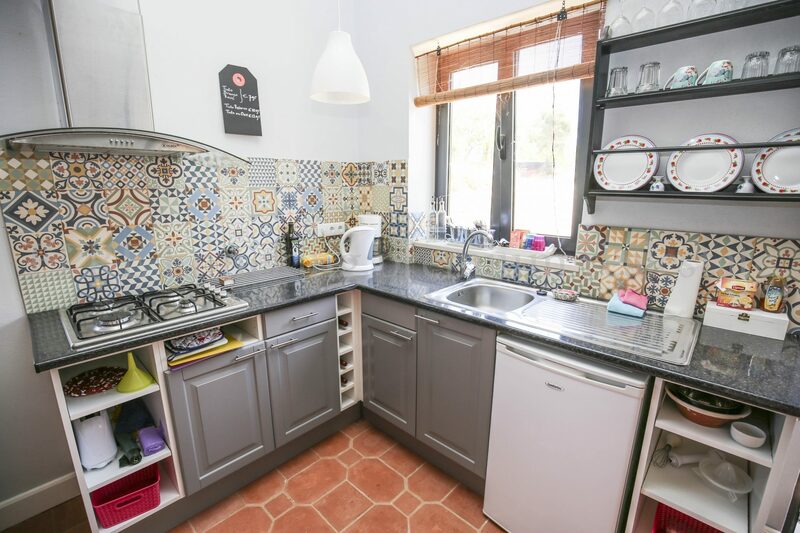 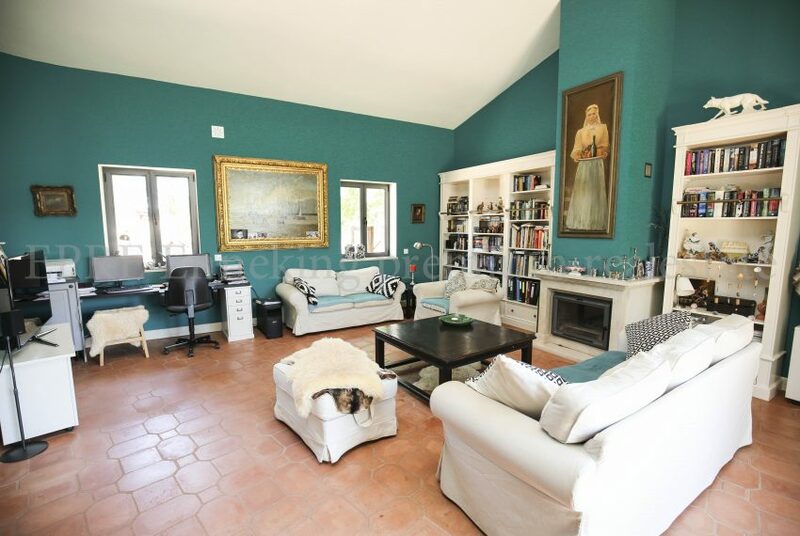 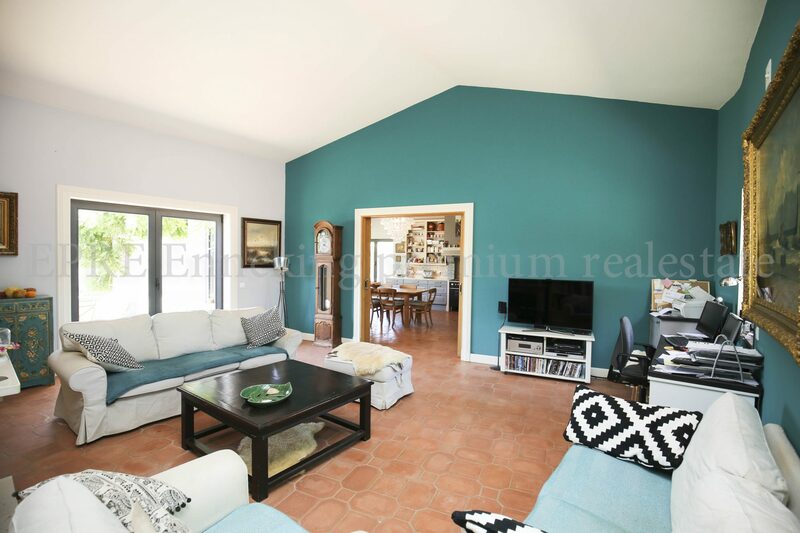 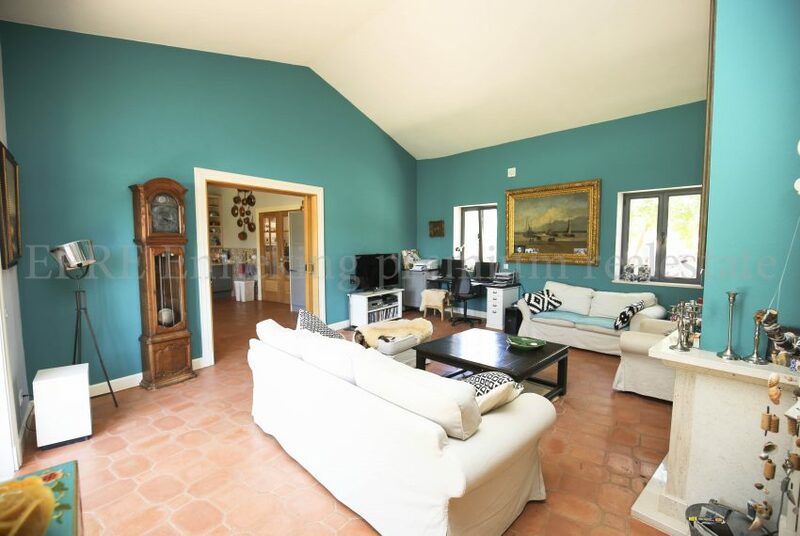 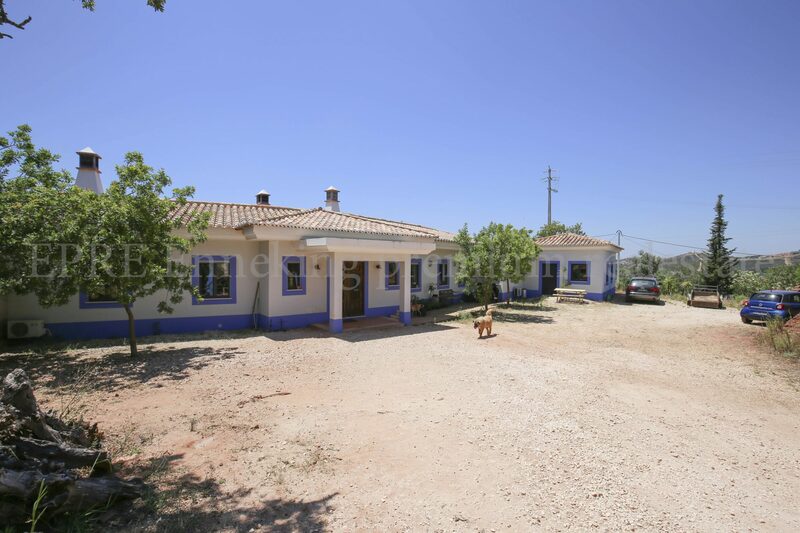 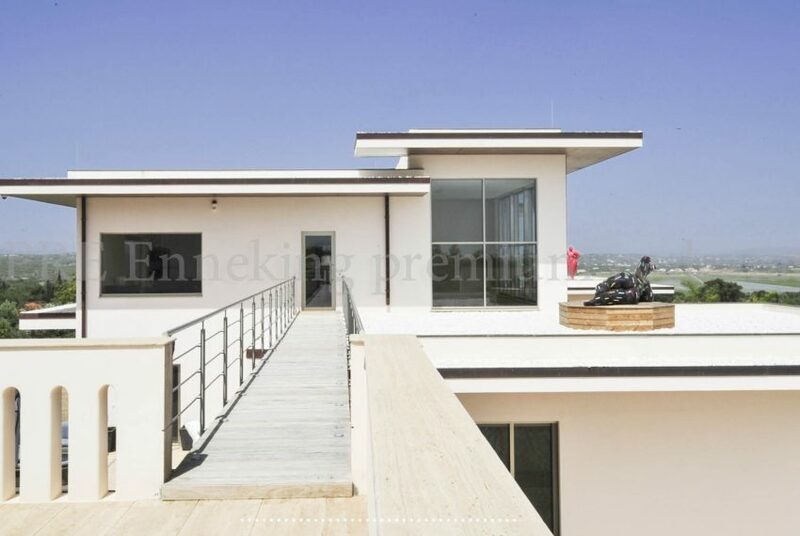 This Biological Vineyard 6 Acres Farmhouse Silves Algarve is a typical farm house with 3 bedrooms, one large kitchen, one living room and 3 bathrooms, being one in the main bed room, one a service bathroom and the other one is shared by the other two bedrooms. 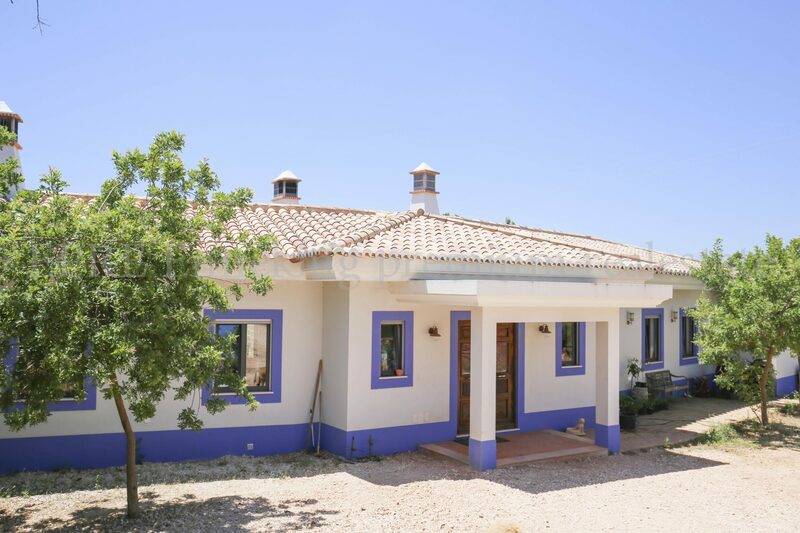 The house have floor heating and cooling, double glazed windows and all the blinds are electric. 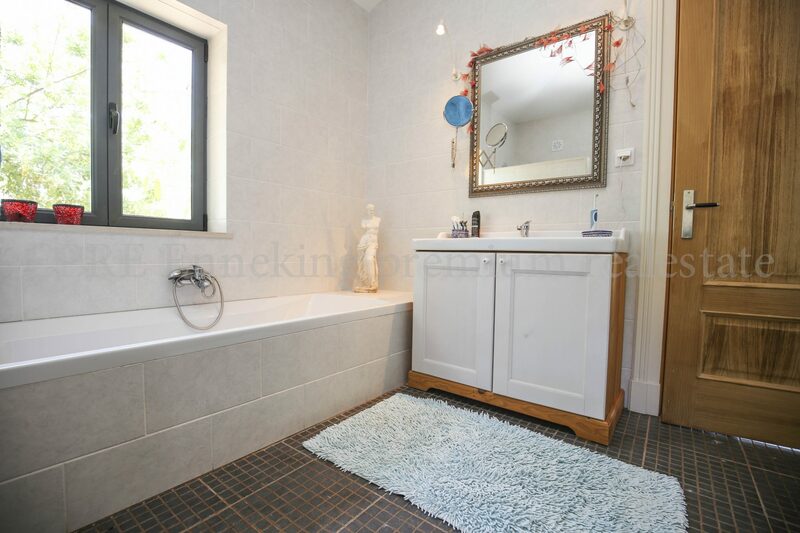 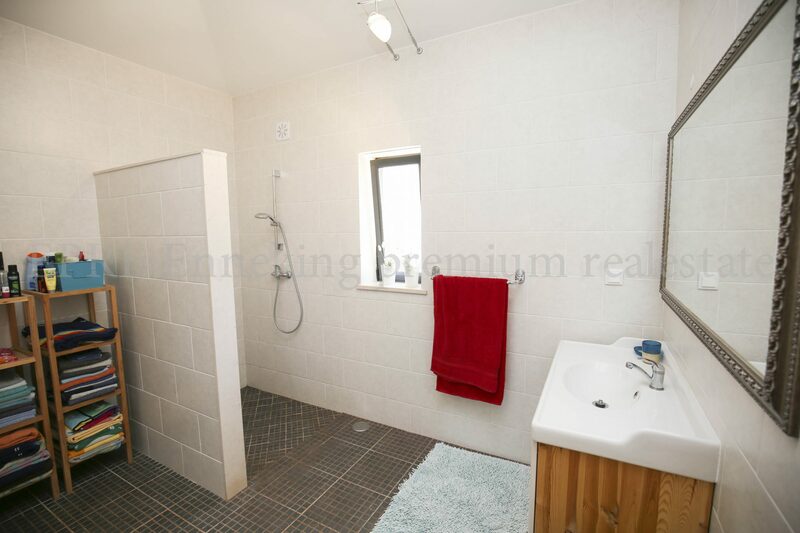 The main bedroom is ensuite, with a full equipped bathroom. Also has a walk in closet. 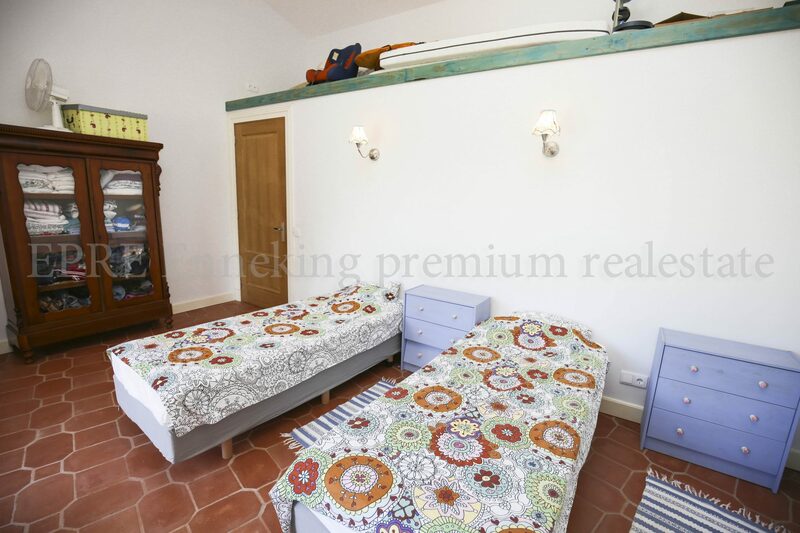 All the bedrooms have doors to the garden, where you have a pond, with a fount that works with solar panels. 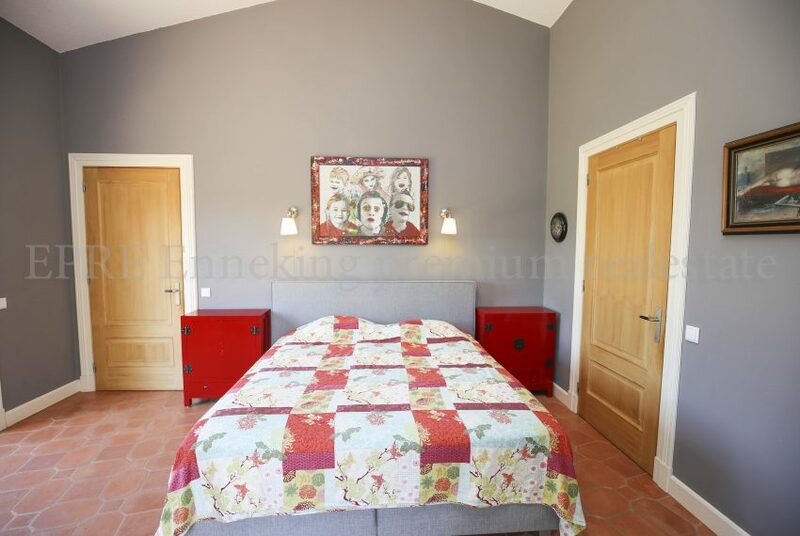 One of the bedrooms has an above area, that is perfect to put another bed. Both, the kitchen and the living rooms haves fireplaces, being the kitchen one a “Salamandra”. The kitchen is equipped with high quality material being the oven Italian made. 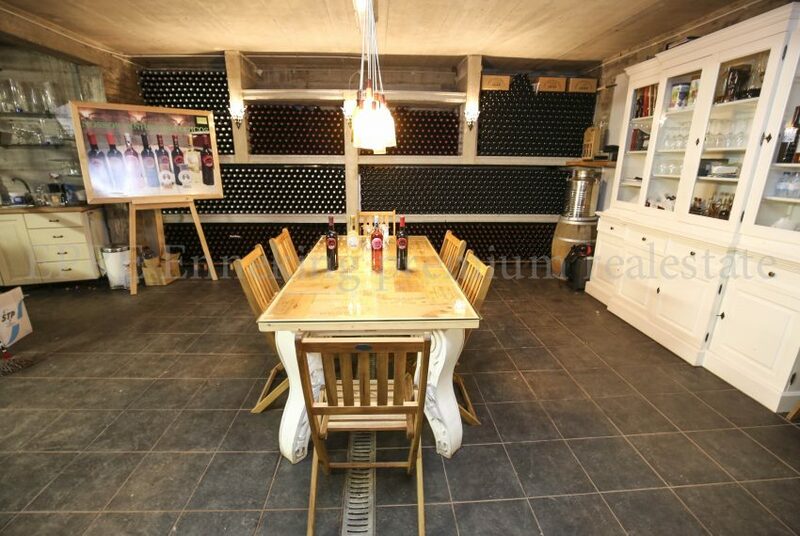 Also has a fridge and a wine cooler. The living room has a regular fireplace, the house is equipped with satellite wifi and the signal is strong enough to watch online steams. 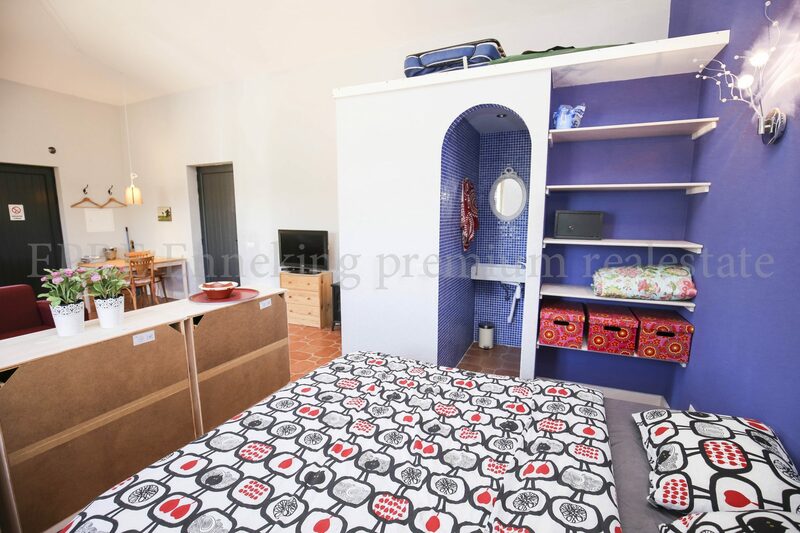 Outside of the main house is a self contained studio apartment, with kitchenette, a private bathroom and queen sized bed. 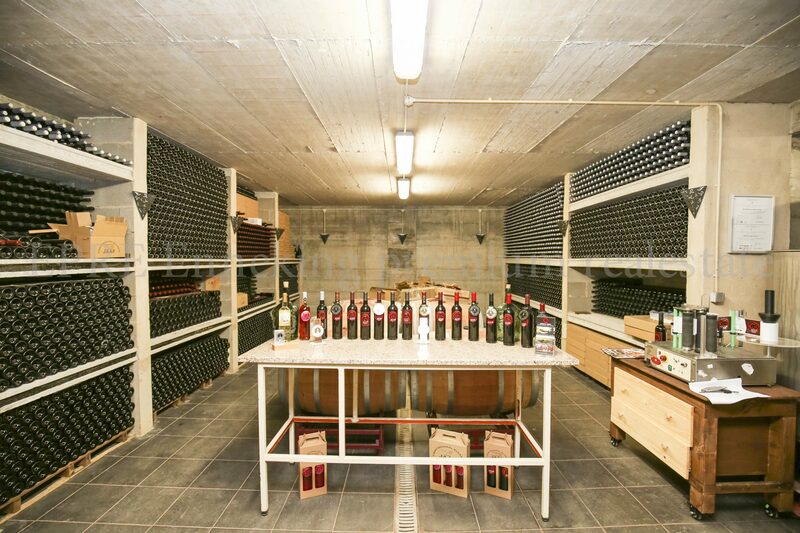 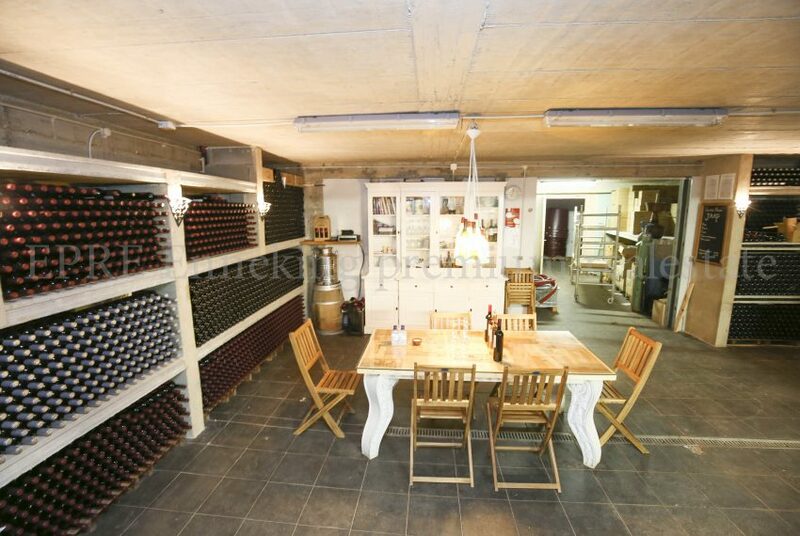 you will find the fully equipped adega, where all the wine is produced, bottled, labeled and packed for sale. 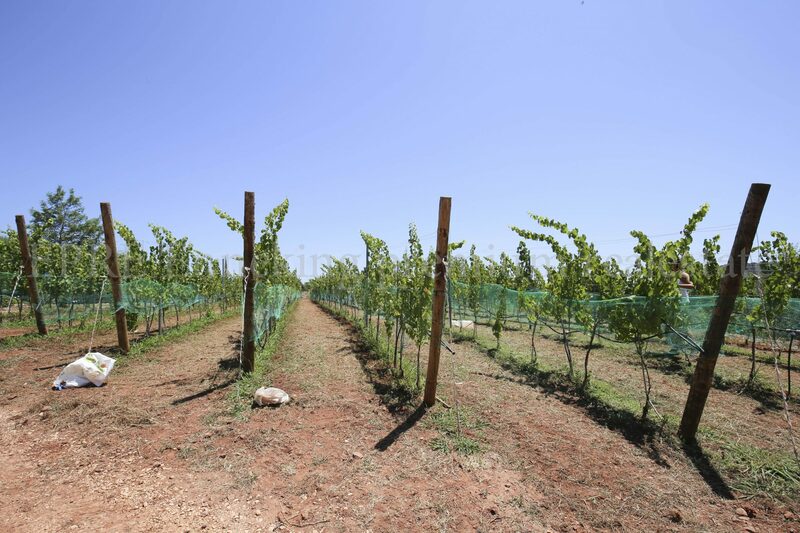 With 4 award winners wines, some of the best grasps in this adega age in American or French oak for 9 to 12 months. 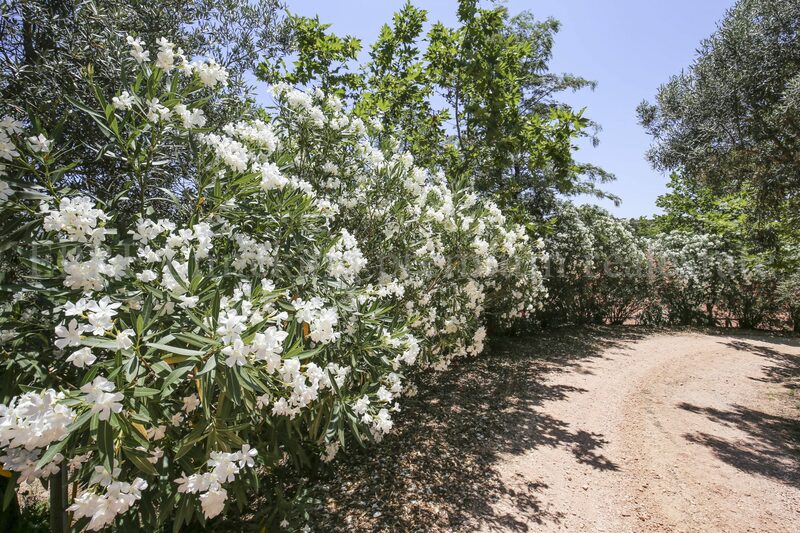 There is also a cooler, where the roset and whites evolve to its best, one of the award winning wines is the 2016 roset. 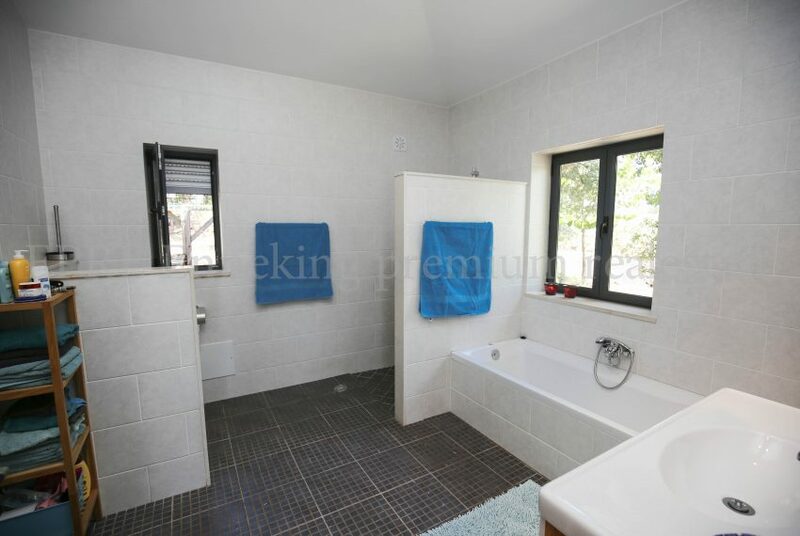 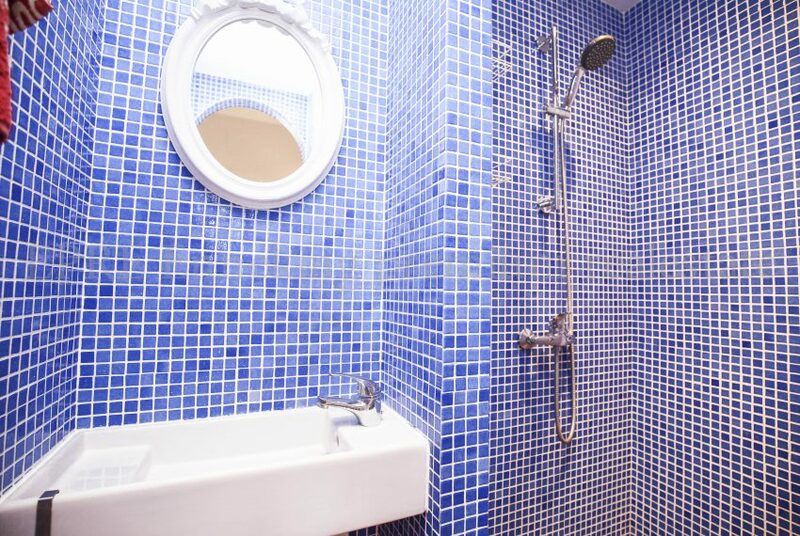 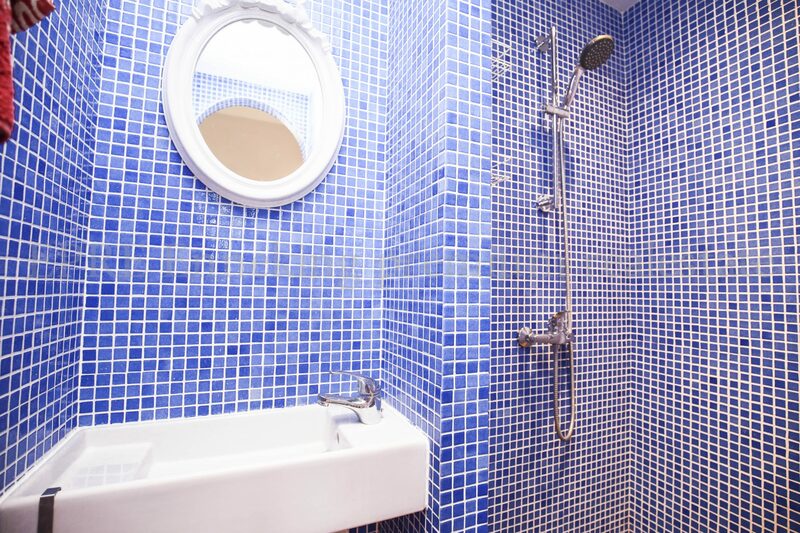 There are also 2 bathrooms, one with a shower in the basement. The house is just meters away from the 3 acres vineyard, where you have 8 different types of grasps planted, being the first ones from 2007 and the last ones from 2015. 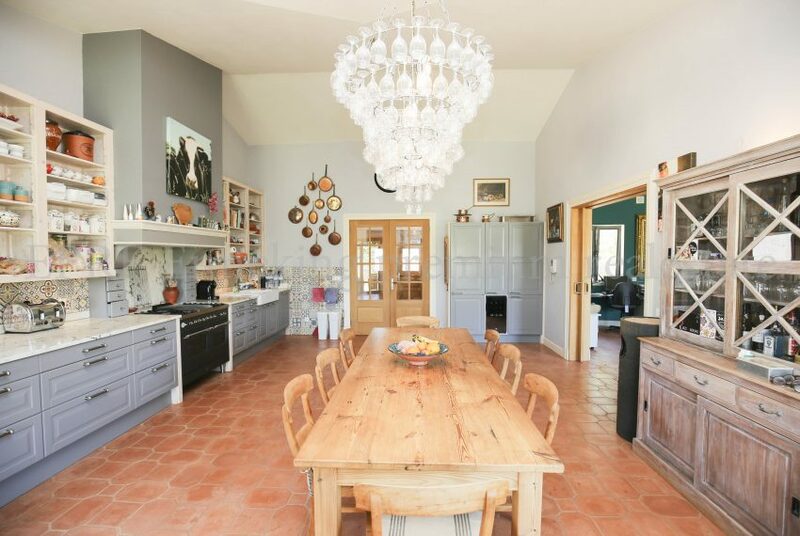 The property has also 60 olive trees, plenty of fruit trees, a vegetable garden, 2 stables, a large paddock for horses, a small pool and a cistern possible to convert to another pool. 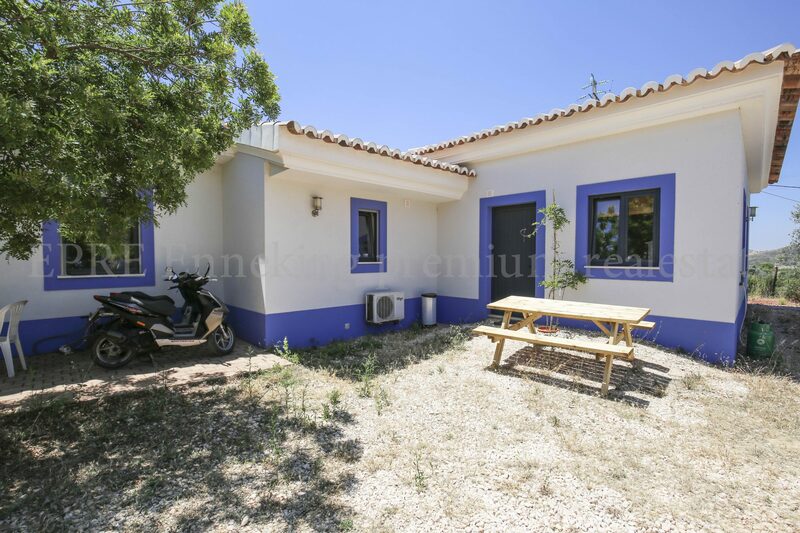 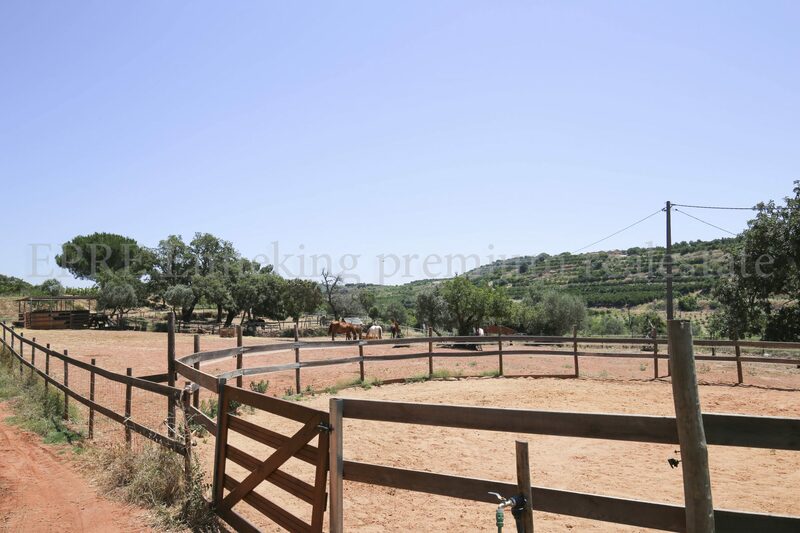 Located near Silves, this Biological Vineyard 6 Acres Farmhouse Silves Algarve is just a 15 minute drive away from the beach. 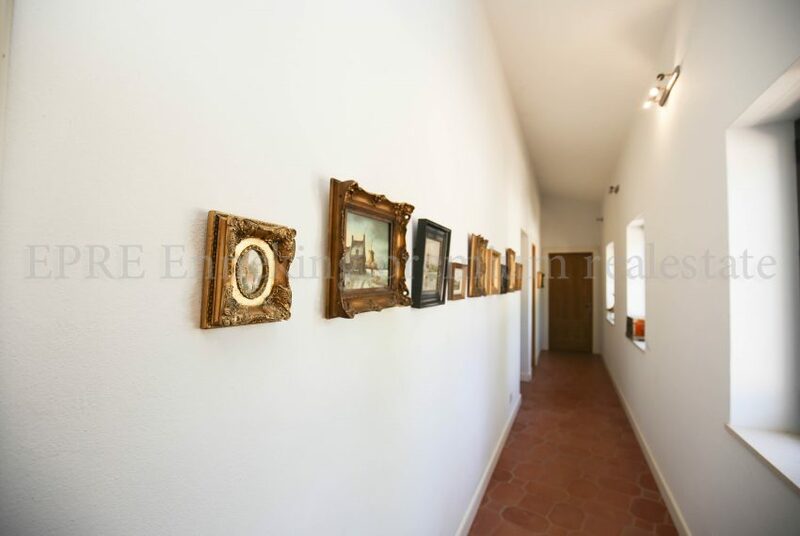 Silves is an amazing historical city from Algarve. 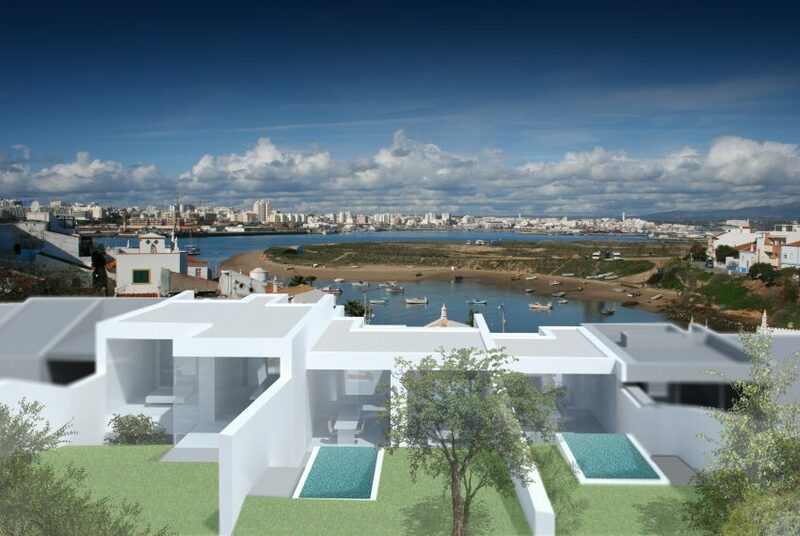 As the old capital from the Algarve and before that in the ancient days from Algarve kingdom. You can feel the antique ambience as you walk down the different venues and streets protect by the castle. The magnificent castle was built to protect the city in 1189 by king D. Sancho I when he re conquered it, that didn’t worked very well since the Muslims conquered it back in 1191. 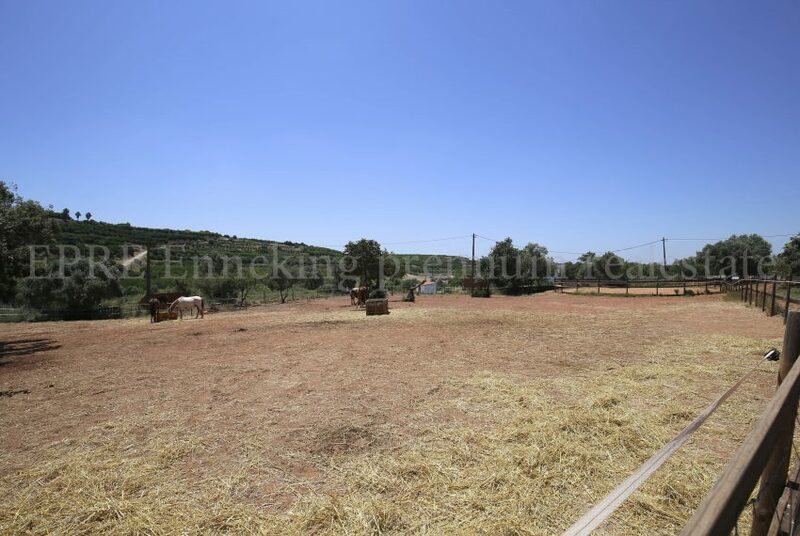 With a historical change of command in the beginning of the 1000 millennium, between the Portuguese Christians and the Muslims, Silves only turned Portuguese for good in 1249, conquered by the king D. Afonso III. Nowadays, as a celebration of that time you have the medieval fest, which brings old costumes to the city, with music, food, theatre and animation.